Check out our amazing reviews on Google, Angie's List, Customer Lobby, & More! They were great! We had Pedro, Tomas, and Francisco and they had us moved out of our old apartment (first floor) and into our new one (second floor) in only 3.5 hours. They were polite and professional. Would definitely use this company again! Mr. Reyes and his staff were very professional, courteous and provided me with excellent customer service. Moving can be very stressful, but these guys really worked their tails off. Mr. Reyes was available each time I called or if I left a message, he promptly returned my call.. I am very pleased with the service I received and will definitely recommend Clear Lake Movers, Inc. Ownership is very responsive and respectful of their customers. Have used this company for my last three moves and they never fail to deliver on great service and fair pricing. Highly recommend using Clear Lake Movers. I have used CLM twice now, The crew is so professional, you can tell they take a lot of pride in the work they do. The management and owner of the company are very nice.. I had two great experiences with this company and recommend them to anyone! Thank you to the team for making a very stressful part of life, much easier !! Fantastic experience. Had a 3 man crew (plus chief) move a one bedroom apartment into a home. Was done in an hour and a half with zero damage to belongings or home. They arrived promptly as scheduled, worked hard and briskly, yet took utmost care as they moved belongings. They may not be the lowest bidder, but you absolutely get what you pay for. The movers were VERY professional and courteous. They did not waste any time and moved fast while being very delicate with everything and nothing was broken or scratched unlike some other movers I've used before. I will use their service again and recommend them to everyone needing to move on a low budget. Courteous, professional, hard-working. Owner always reachable by phone & movers were bi-lingual. Heavy Houston rain didn't even stop them! I recently used CL Movers, and they did a great job. From the first call to schedule and reschedule to the last follow up call to make sure we were satisfied was exactly what I needed to relieve the stress. They were very professional and prompt. I highly recommed them for your next move. Clear Lake Movers just moved me yesterday and I have to say that it has been YEARS since I’ve encountered such hard workers. I couldn’t be more pleased with this service. The three guys they sent worked their tails off the entire time and were extremely efficient. Not one thing was scratched or broken, either. The last time I hired movers (a few years ago) it seemed like at least one of the three was texting on their phone every time I turned around. 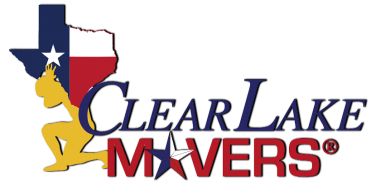 I will be a customer of Clear Lake Movers for life! From reservations to moving day the experience was outstanding. The entire group was positive, helpful and competent. The movers were on time (actually a little early). The move was quick and efficient. The guys were very careful and professional. This is the second time I’ve used Clear Lake Movers. I expect to call again in six or eight months. They were very nice and thorough. Even though it was in a case, they wrapped my expensive keyboard in an additional quilt without being asked. They fit all my furniture in the storage unit with room to spare and brought me and my brother 2 of my chairs to sit on while we waited. Would definitely recommend. Clear Lake Movers just moved me yesterday and I have to say that it has been YEARS since I’ve encountered such hard workers. I couldn't be more pleased with this service. The three guys they sent worked their tails off the entire time and were extremely efficient. Not one thing was scratched or broken, either. The last time I hired movers (a few years ago) it seemed like at least one of the three was texting on their phone every time I turned around. I will be a customer of Clear Lake Movers for life! The movers were on time (actually a little early). The move was quick and efficient. The guys were very careful and professional. This is the second time I've used Clear Lake Movers. I expect to call again in six or eight months. Friendly and moved my fridge very safely and careful. THANK YOU Mike, Diego, and Ryan. Dino and his crew were very hard workers. Wonderful group of men! Overall good experience and would defiantly use them in the future!